A cold ,wet, blustery , saturday morning, in Melbourne. A small inner city football oval , the Peanut Farm Reserve , Chaucer st , St Kilda . A ground steeped in history , it sits in the shadow of Luna Park , and the beach . Two teams of young men playing AFL Football. 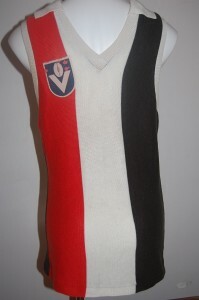 The Home side dressed in the famous red, white and black, traditional strip , of St Kilda Saints. 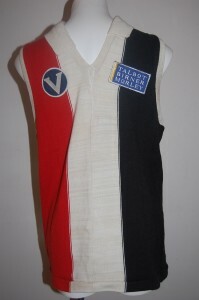 Playing are amateur side , St Kilda City ,versus a team dressed in the red , yellow and black, traditional indigenous strip . 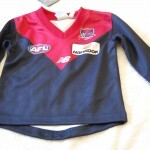 Each is playing footy , proudly wearing their team's , football jumpers , jerseys , guerneys . Thousands of young people , male and female ,all around the country, take to footy ovals on a wet , cold, saturday morning , to play the game they have grown up with. Clearly, its a game they have also grown to love . Why else would they brave the artic weather conditions, mud slides, and an early rise on a winters saturday morning .? Its all part of the fun . Supporters too , meet , greet ,cheer , have a yarn and a laugh , all barracking for their team in their football jumpers , jerseys , guernseys . Maybe they'll witness a future Robert Harvey take a screamer , or maybe not . Its just good fun at the footy . 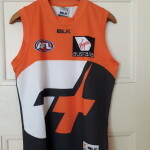 You can wear your football jumper , jersey , guernsey just about anywhere and at anytime . Young men wear them to the Gym first thing in the morning at 6.00am . Fans might wear them to a casual bbq or afternoon lunch in their favourite local coffee shop. 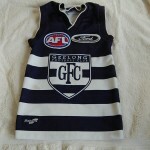 Supporters wear them to bars , particularly if its a birthday party or theme night . 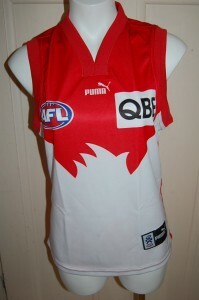 If it is rare , or an unusual style or colour , the jumper , jersey , guernsey will create interest . 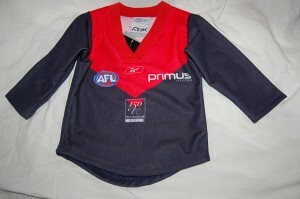 The jumper , jersey , guernsey may provide a talking point or become a conversation starter . 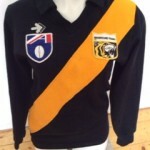 Jumpers , jerseys , guerneys are highly wearable fashion icons . Who knows a random person wearing a Football Jumper may one day grace the pages of a new edition of that fashion bible "the Sartoralist ". 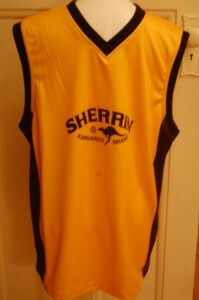 All jumpers, jerseys , guerneys are distinctive colours . Whenever you think of a football club you always think of those colours. 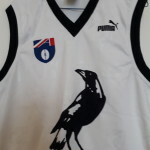 St Kilda evokes red, white and black , Swans red and white and Collingwood black and white .Hawthorn brown and gold , and Carlton Navy Blue and white etc . So it goes. 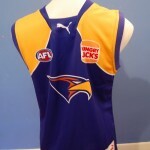 These colours are reminscent of the club and its colours as worn in their teams jerseys , jumpers , guernseys. 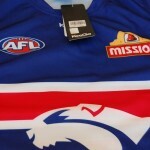 New clubs to the afl have a limited choice of colours as most combinations are already taken by the victorian clubs. Fremantle has had much success this year and their distinctive white with a purple anchor are unforgettable .They have forged a brand with a unique colour combination.